Discussion in 'Lighting' started by Baja Designs, Mar 1, 2018. The new Baja Designs Laser Light series is at the pinnacle of distance lighting. The Laser Light is capable of throwing light 60% farther than current LED offerings. There will be several configurations offered, though the Hybrid configuration is the first to be available. We have created a Hybrid light in order to give the user the ultimate lighting package. We project 2 laser chips and 4 LED chips through our High Speed Spot optic to deliver a far reaching, yet smooth blend of light – elevating forward projection lighting into the next generation! If you want to stay ahead of the competition with farthest reaching product on the market, look no further. We will be bringing more Laser Technology to the market. Stay tuned for more details and great lighting options in the late spring! If you don't already follow us on social media, keep an eye out for more teasers on Facebook and Instagram. Above are some shots from EJS. You can see the XL Laser Light and the OnX6 Hi-Power in these photos. The hot spot off in the distance is from the XL Laser Light and measures roughy 2500 feet away. We are very excited to be getting closer to releasing our Laser Light Series starting with an OnX6 Hybrid Light Bar (LED/Laser). 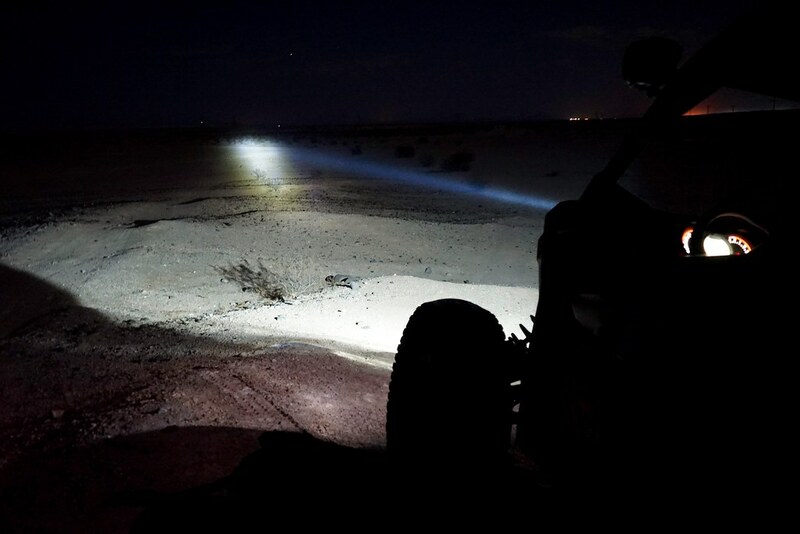 For those that want to get a sneak peak on our Laser Light Series we will be showcasing them at Overland Expo West. Come on by the booth and check out our night demonstration! We wanted to provide an update on the BD Laser Lighting. Unfortunately the ETA has been pushed towards late summer. There is currently one supplier for the laser chips we NEED and they have very limited quantities. In order to give you the best performing product possible we are using this one specific laser chip. We are waiting on the quantities we need in order to push a full production run of lights. Our apologies for the delays. As soon as an update comes through I'll be posting up! 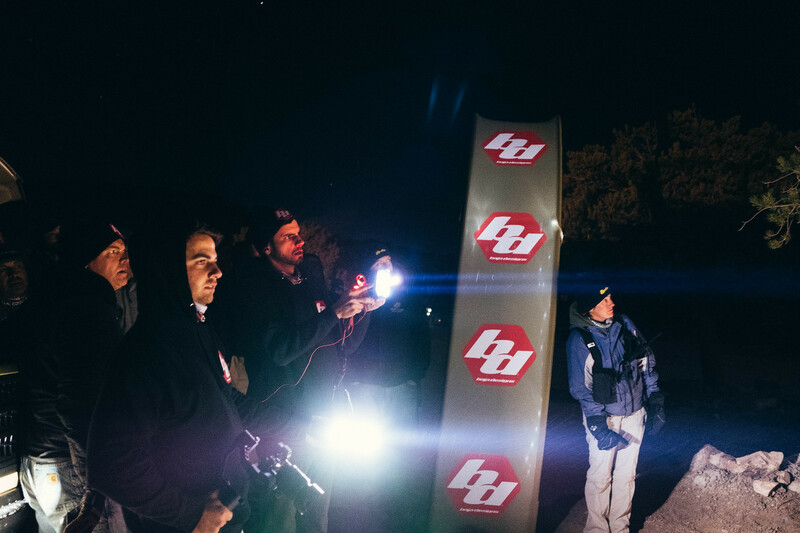 The new Baja Designs Laser Light series is at the pinnacle of distance lighting. 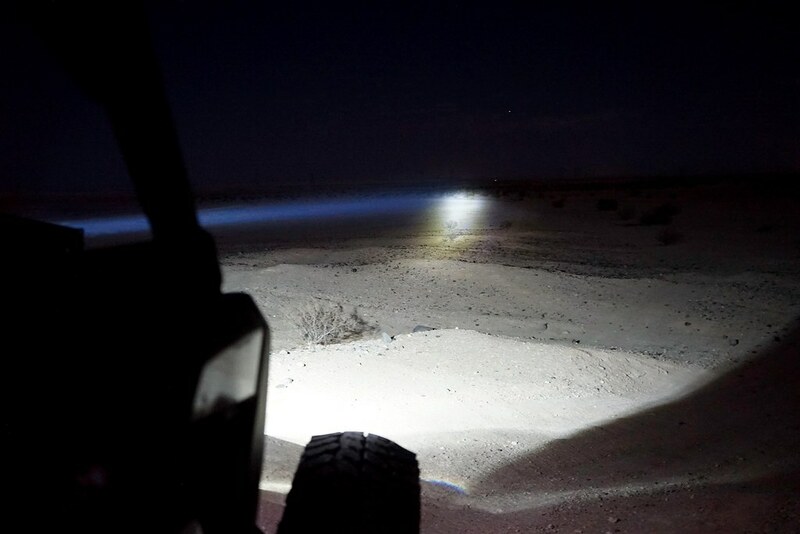 The Laser Light is capable of throwing light 30-40% farther than our current OnX6 Hi-Power Light Bar. We have created a "Hybrid" light in order to give the user the ultimate lighting package. We project 2 laser chips and 4 LED chips through our High Speed Spot optic to deliver a far reaching, yet smooth blend of light — elevating forward projection lighting into the next generation! If you want to stay ahead of the competition with farthest reaching product on the market, look no further! With pricing and information out for the 10", we wanted to put out price feelers for larger light bars. Right now these are the forecasted prices and depending on demand, we can get building next month! If you need a test vehicle - I'm your man. We are SOLD OUT of Baja Designs Laser Lights! Available in 10", 20", and 30" lengths! 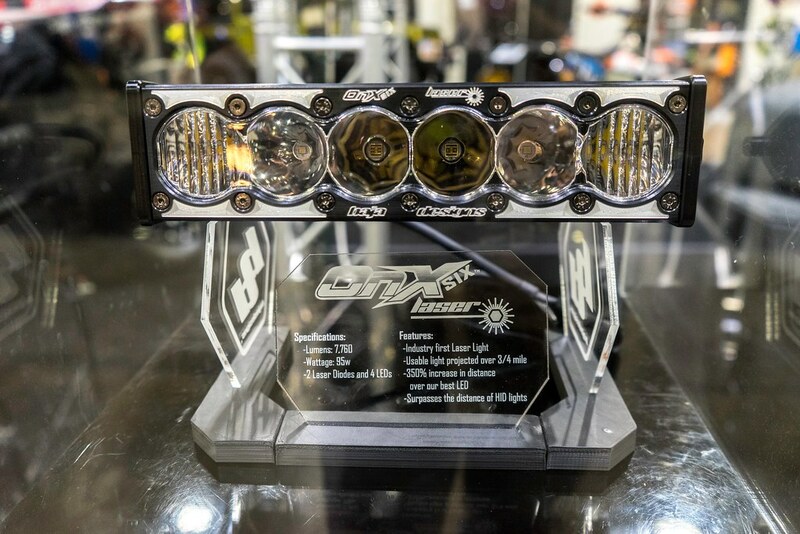 The OnX6 Hybrid Laser/LED Light Bar - the industry first ever forward projecting laser light. 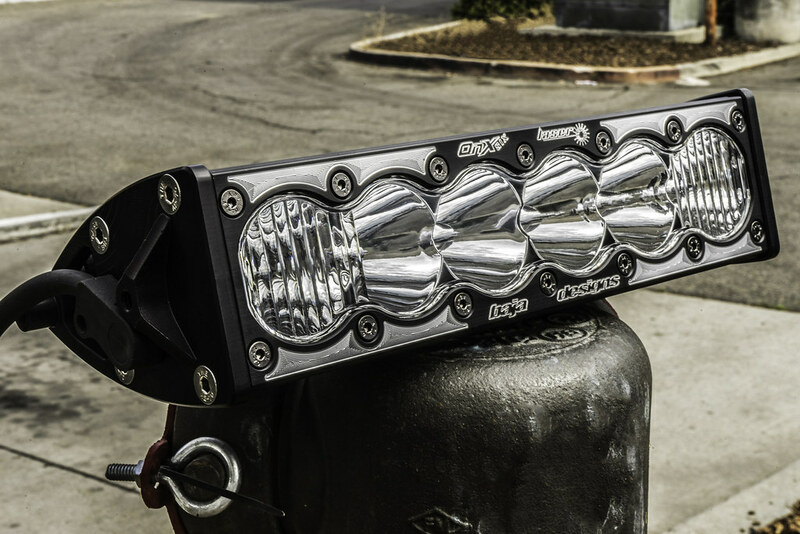 With an output of 7,760 lumens @ 95 watts utilizing 2 laser diodes & 4 LEDs per 10” section, this light bar delivers usable light over 3/4ths of a mile with an incredibly tight beam pattern that penetrates 60% farther than its LED counterparts. Prerunner1982, aggrex, JKBob 25 and 1 other person like this. 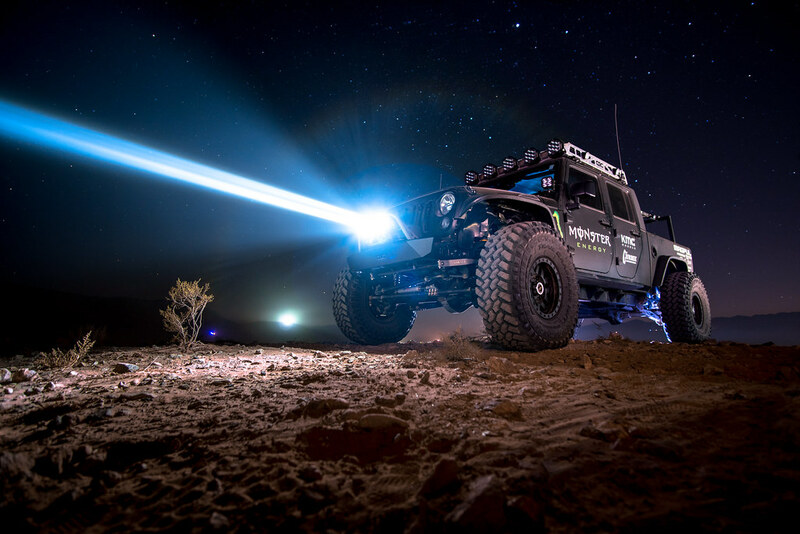 Awesome light bar! Installation question: Many of the aftermarket spod-like switch systems for our JKs handle 35-40 watt auxiliary inputs. Does Baja Designs light options come with the necessary wiring harness or relays that can be adapted or modded onto the spod-like switch systems? Or will it have to be a separate wire harness install and integration with the OEM CANBUS? I think you are thinking AMPs as opposed to Watts. The lowest spod connection is a 15 AMP connection, which is good for a light with a 180 watt power. JoeInOh and JKBob 25 like this. In general, our Light Bars do not include wiring. Same with the individual auxiliary lights. These only include the opposite side wiring connector and pins. We do include an economy wiring harness with pairs of auxiliary lights. 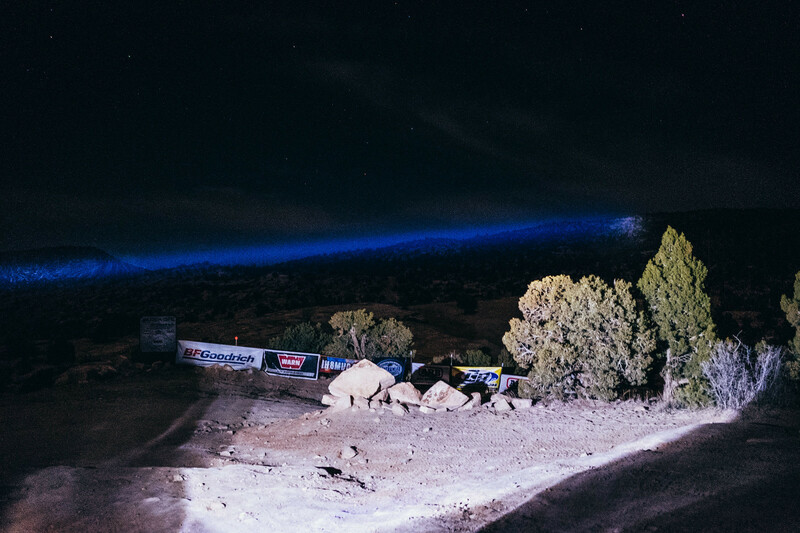 An on board, uncut view of Branden Sims ripping across Laughlin Desert Classic UTV Night Race equipped with our new Hybrid Laser Light! Our new Hybrid Laser Light is capable of projecting light 350% further than the most advanced LEDs on the market today. Let us know if you have any questions or if there is something that you'd like to see! XL Laser, High Speed Spot | Pre-Order Now! - Hybrid Laser/LED Circuit Board - $650 per 10-inch section. - Full Laser Board: $1,450 per 10-inch section.